Kats Botanicals wants to ensure our Kratom is always the highest quality for our customers. Your health and safety is a concern to us and we will never compromise when it comes to putting our Kratom through strenuous lab tests. We recognize you are spending your hard-earned money on our product. In turn, we want to reciprocate that trust by consistently producing the highest quality Kratom powder for you at all times. Over the years, disreputable companies have strained the customer/business relationship simply because they want to take shortcuts. Kats Botanicals has the opportunity today to prove our Kratom is of the purest form and naturally strong. We want to share our lab test results with you to give you peace of mind and assure you all of our Kratom powder contains 100% pure ground Kratom leaf. First of all, in order to get the most trusted results we have to use one of the most reputable international labs. Columbia Food Labs have proven they are the best resource for some of the top companies in the world, including Fortune 500 companies, who need testing. 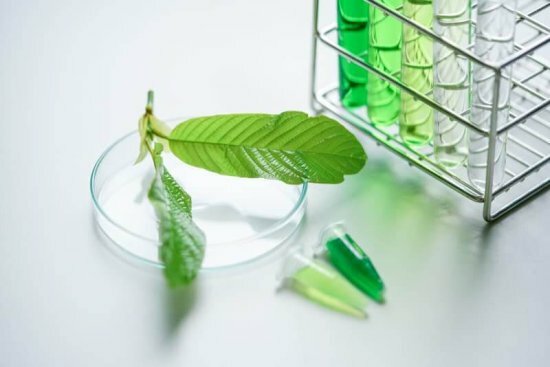 We are confident in the procedures of this laboratory and spare no expense to make sure our Kratom is put through the most important tests for you. What Happens When Lab Tests Comes Back Negative? If by some chance the Kratom we have had tested comes back bad or has negative test results, we want to assure you we will not sell it. Kats Botanicals is dedicated to being transparent with the Kratom community. We want to allow the FDA/DEA to see our company as one who cares about the wellness of our customers. We will always be cooperative and hopefully, this will show our government we are staying consistent with the quality and service which helps us stand out from other vendors. Our Kratom is 100% pure and contains no Ecoli, Salmonella, or other pathogens. We also make sure there are no chemical properties such as heavy metals or pesticides. We strive for the cleanest, purest form of Kratom leaf to present to our customers. Below you will find a list of everything we test for in our Kratom leaf. I have destroyed $1,000’s of dollars worth of Kratom when the test results have came back negative. It’s just not worth it to me to have a low-quality product. The health and safety of my customers will always come first. This is one of the reasons why I want to always have an open business and share my lab test results with them at all times so they can rest assure what we’re doing here has their best interests in mind. I promise to keep this high standard of quality at all times and destroy any Kratom which has been tainted. It’s just not worth it. Each of these microbiology analysis are provided to determine a pure and safe Kratom leaf for our customers. A quality indicator is a tool enabling us to quantify the sample’s performance by selecting a certain comparative criterion. The quality indicators enable us to accurately pinpoint otherwise missed substances.These indicators can detect each of the unwanted substances below. Please don’t hesitate to contact us with any questions or concerns you have. If you would like to see our actual lab test results feel free to reach out to us.